The Taj Balloon Festival is organized every year in February. It is a three day event that allows visitors to float in the skies above Agra and see the Taj Mahal and other monuments from an aerial view. 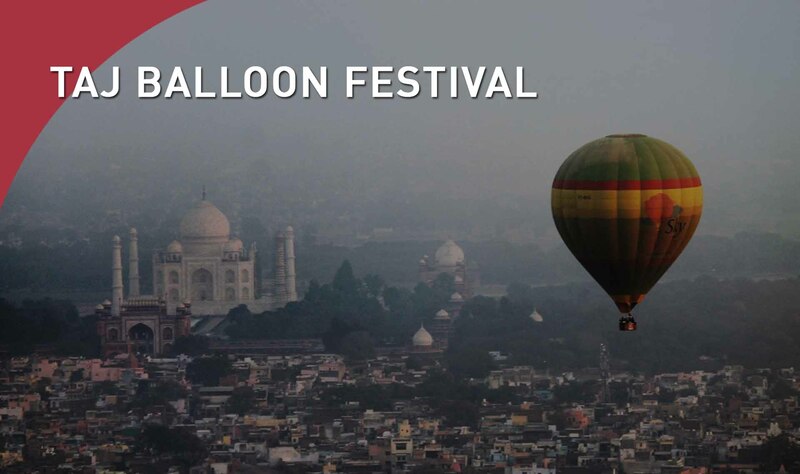 The festival itinerary is packed with balloon rides, tours that focus on Mughal history, excursions to monuments, and night balloon rides accompanied with music. The evenings end with performances from nationally and globally renowned music and dance performers.